This is a story about my ancestor George Drouillard, the half Shawnee, half French Canadian scout who was a real-life ‘Tonto’ figure as popularized in “The Lone Ranger.” George was born in a Shawnee Indian village named Chillicothe near Xenia, Ohio. His Shawnee mother by some accounts soon died from small pox and his French father in 1776 took him to be baptized to Detroit where he had a homestead. George’s father served as a British Indian Agent and young George accompanied his father on visits to tribes throughout Michigan, Ohio, Virginia, Kentucky and Indiana. When George entered his adulthood he rode with George Rogers Clark, and then with Meriwether Lewis and William Clark on their ‘Corps of Discovery’ expedition across the West. That is mighty high praise coming from Lewis. 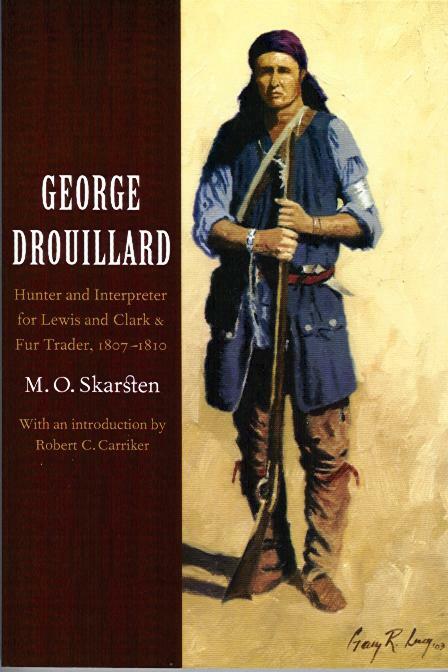 George Drouillard in fact was mentioned in their journals more than 640 times, 355 of which exhort his skills as a hunter. He camped in the same tent as Lewis and Clark, and his final compensation was higher than anyone else except the captains. Johnny Depp to his credit does get it right with his characterization of Tonto. The old Hollywood image of an American Indian scout who just tagged along and took orders while doing white man’s chores was inaccurate. This is especially true in the story of George Drouillard, who in real life was a Métis, French/Shawnee scout…and a real ‘Tonto’ whose role in the Corps of Discovery was unparalleled and indispensable. For more information on George Drouillard, see this article from the Encyclopedia of French Cultural Heritage in North America on the Lewis and Clark Expedition or this article from Detroit Public TV. — ed.